Or at least that's the idea, but it's not quite as simple as that. Promising to teach you the ways of the force, the Huawei Mate S is a big phone with big features - but there's a catch. 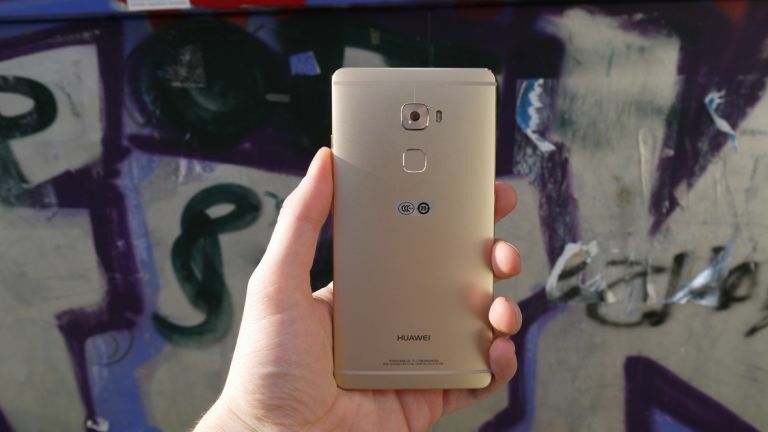 The Huawei Mate S is one of the best looking smartphones to come out of the Chinese firm. Its all-metal body looks and feels great, and it nestles nicely in the palm thanks to the curving rear. Initial impressions are positive then. It will be available in the UK from September in 32GB and 64GB guises, which are priced at €649 (around £475) and €699 (around £510) respectively. For those yearning for more storage (there's a microSD slot here too), there will eventually be a yet un-priced 128GB model - and this is where things get interesting. For you see the Huawei Mate S boasts Force Touch Technology - the first time it's featured in a phone (having previously stared in the Apple Watch and new MacBook) - but it only appears in the 128GB version. Plump for the cheaper 32GB or 64GB option and you'll be without the headlining feature. As we've mentioned, the Huawei Mate S is a bit of a looker with its colour-coded antenna strips, slim bezels and diamond cut edges making it look arguably more premium than the iPhone 6 Plus. It's not exactly small, and some will find the power/lock and volume keys high up on the right of the handset a little tricky to reach, but Huawei has thought about this. On the back you'll find a recessed fingerprint scanner which you can use to unlock the handset without having to reach for the power key. It's more than just an unlock tool though. Swipe down on the scanner to pull down the notification bar, swipe sideways while in the gallery to flip through your pictures and give it a tap to answer an incoming call. They're all handy little features which make using the Mate S a more enjoyable experience. At 5.5 inches, and with a full HD resolution, the Huawei Mate S is rubbing shoulders with the iPhone 6 Plus and OnePlus 2 in the screen department. Clarity is good and brightness respectable, and we were more than happy gazing at the expansive screen for an extended period of time. There is an added bonus here though, something you can't see, and that's Force Touch Technology (if you're looking at the 128GB model that is). This can detect how much pressure you're applying to the screen with your finger, and as a result it allows the Mate S to perform different tasks depending on how hard you're pressing. Huawei has baked in a variety of functions into its Emotion UI interface, including the ability to magnify an area of a photo for closer inspection. It's a novel idea, but the use cases are relatively limited for now. If developers get on board though, it could well be an exciting proposition. The Huawei Mate S is a surprisingly solid smartphone with a strong feature set and attractive design making it an appealing proposition. If you can get past the questionable interface design there's a lot to love here. It may not be an iPhone or a Samsung, but it'll certainly turn a few heads down the pub.